Description: A close-up representation of a yellow rose. 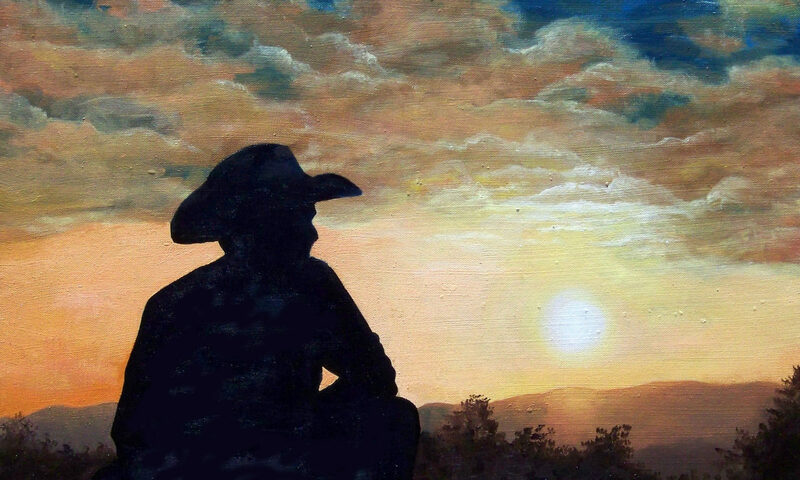 This painting does not need to be framed because it is a gallery wrap stretched canvas, which means the painted image extends around the edges of the canvas. Artist Comments: I love all flowers, especially roses. 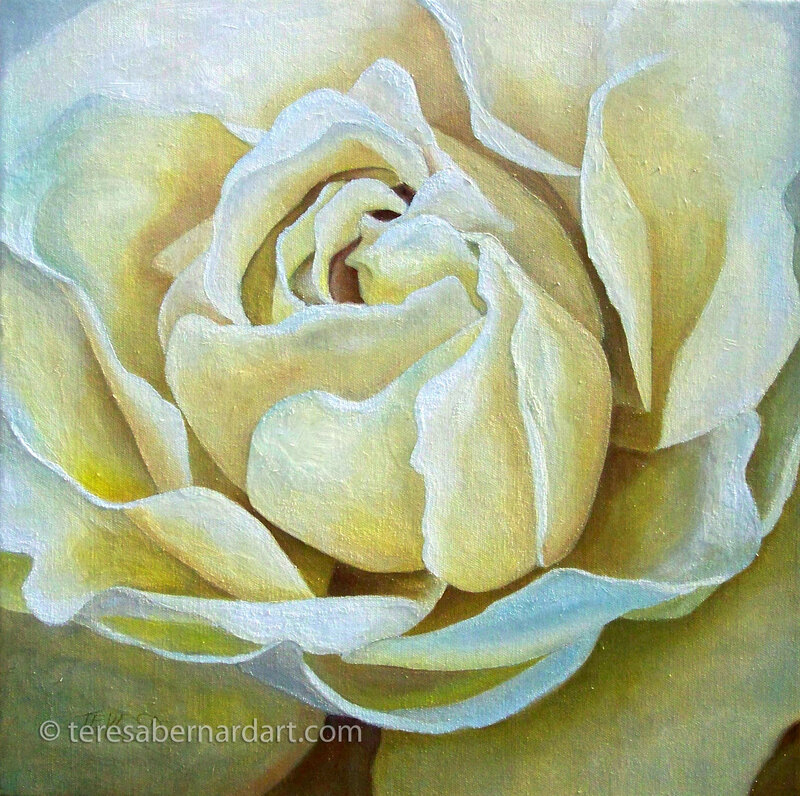 This close-up oil painting of a rose was done shortly after we moved back home to Texas when my husband retired from the military. There is an old folk song that kept coming to mind called “Yellow Rose of Texas”, so I knew I just had to do an oil painting of a yellow rose. I decided to do a close-up composition because of a fellow artist who’s paintings I admire. Inspired by Georgia O’Keeffe flower paintings, I wanted to use the same treatment as she when I painted my own series of flowers. Ms. O’Keeffe like to paint her flowers enlarged by zooming in and really focusing on the flower blossom or petals in many of her paintings. I really admire much of her floral art and accomplishments as an American female artist. To my knowledge, O’Keeffe never did paintings of roses. Instead her favorite flower to paint seems to have been the Jimson Weed since she painted quite a few of those flowers during her lifetime. I’ve painted several roses, a sunflower and a magnolia blossom using this enlarged flower technique. I’m positive there will be more flower paintings like this one in the future. For more information on Georgia O’Keeffe and her flower paintings. 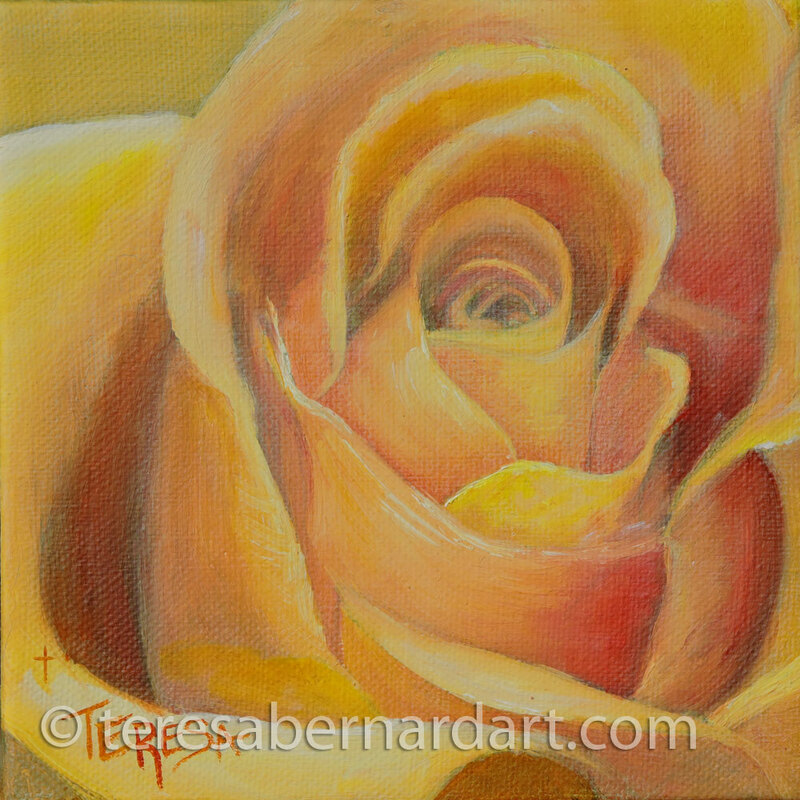 See more rose paintings of Teresa Bernard. Description: A close-up representation of the center of a bright red rose. Artist Comments: In 2006 my husband Robert retired from the US Navy and we returned home to Texas after being away for over 20 years. Of all the places we could have chosen to live, we decided to settle in the East Texas region. East Texas is a lovely place to call home because of its plush green vegetation, vast rose gardens, Texas Longhorn cattle ranches, hay growers, working farms, rodeos, and the many small country towns and communities. It is in this setting that we chose to build our little ranch approximately 20 miles west of Tyler. Tyler, Texas is known as the “Rose Capital of the U.S.A.” because this area alone produces over 20% of the nation’s roses. This city also has the nation’s largest municipal rose garden, is home to the Tyler Rose Museum and hosts the Texas Rose Festival every year in October.  The festival draws more than 100,000 visitors to the city each year. 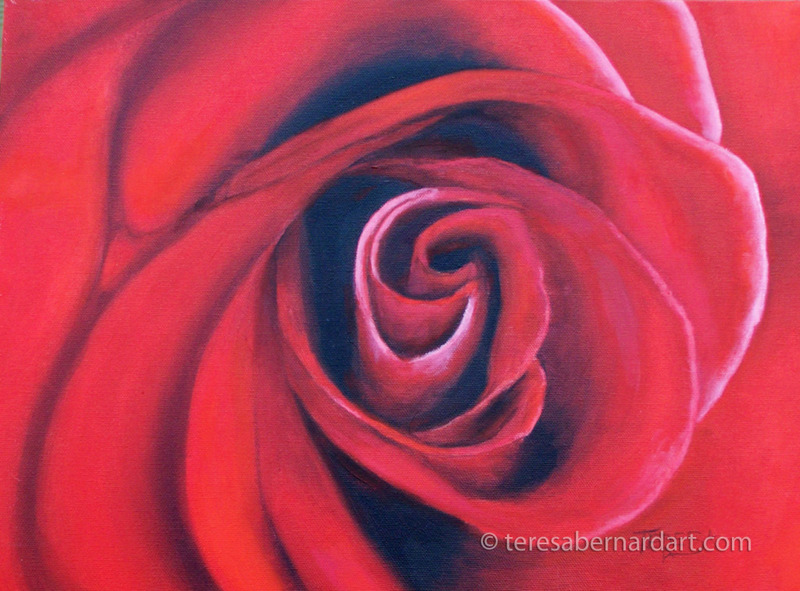 Surrounded by all these beautiful roses I was inspired to do this rose painting when we first moved here. I love roses! I love their delicate beauty and fragrant smell. And I especially love red roses. They are so vibrant in color. Roses come in so many different varieties of color and are widely recognized as a symbol of love, sympathy or sorrow depending on the rose’s color. For example a red rose is a symbol of love, yellow of friendship, orange of enthusiasm, white of purity and pink of joy. See more rose paintings here.